A pre-owned Scandalli Air 120 Bass Compact Accordion. This modern instrument was built in the Italian town of Castalfidardo by the highly respected Scandalli factory. 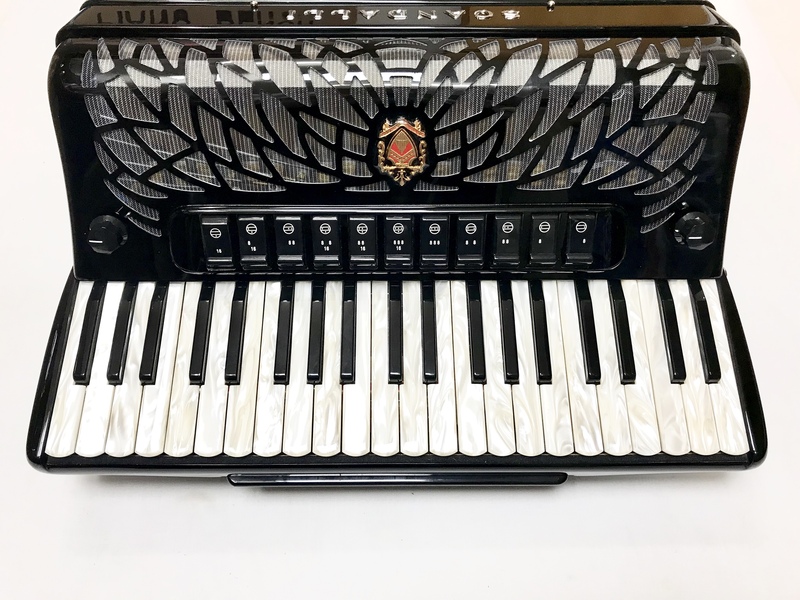 This full size instrument features 120 bass buttons and 41 treble keys, but has a more compact casework, and therefore a lighter weight than many other comparable accordions. 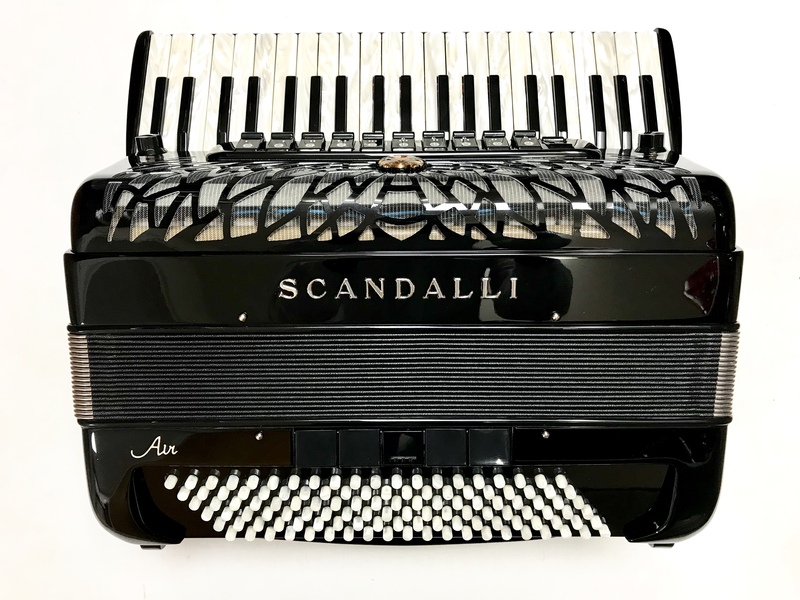 This Scandalli Air 120 Bass Compact Accordion is tuned to a four voice musette setup, making it ideal for the French and Scottish styles of playing. This particular example is only eighteen months old, and is presented for sale in “as new” condition throughout. Finished in a very attractive high gloss black casework, which is complemented with pearl effect treble keys and bass buttons. A 0% interest free loan is available on this Scandalli Air 120 Bass Compact Accordion subject to status via the Arts Council. Terms and conditions apply – please contact us for full details. 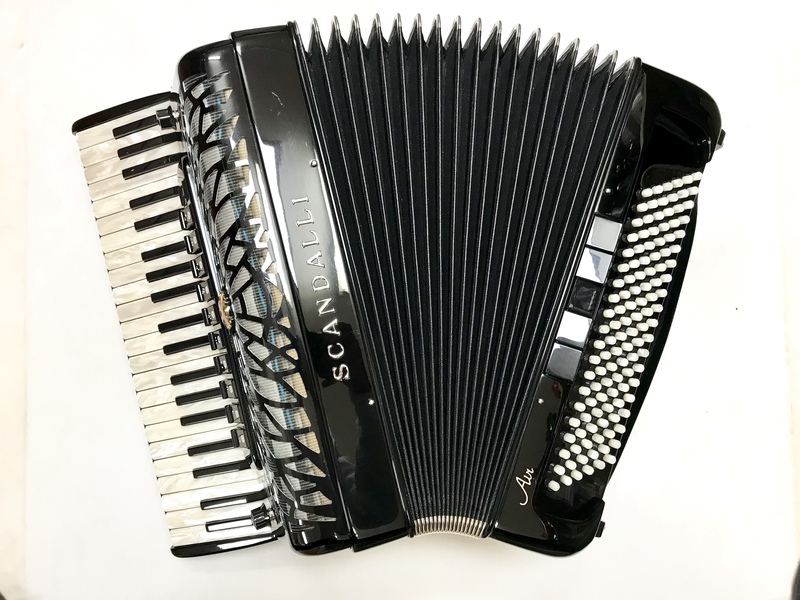 This Scandalli Air 120 Bass Compact Accordion comes complete with your choice of either a soft gig bag or a hard case, padded shoulder straps and a 3 year component parts guarantee. 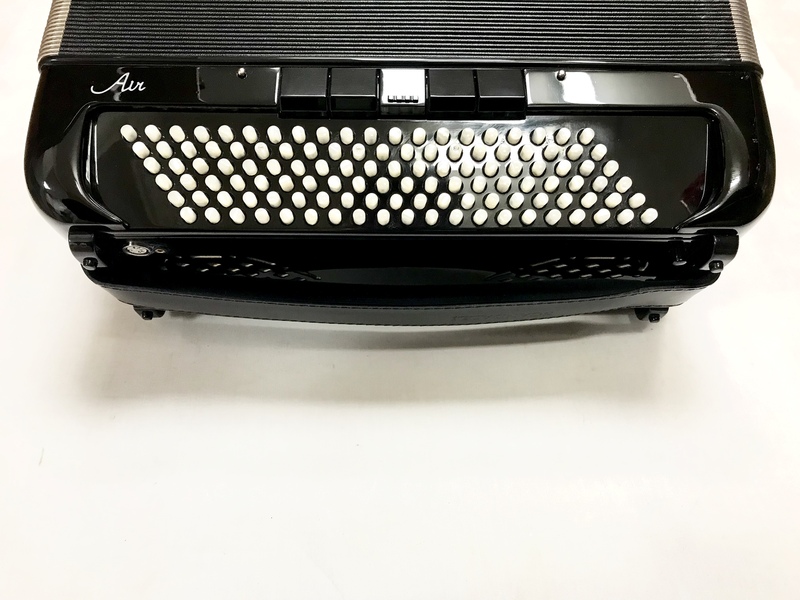 Don’t forget, free delivery of this Scandalli Air 120 Bass Compact Accordion to most parts of mainland UK is included in the price! Weight: 10.89 Kg. - 24.9 Lbs.